Your knees will buckle at the sight of this stunning slide from Mollini. 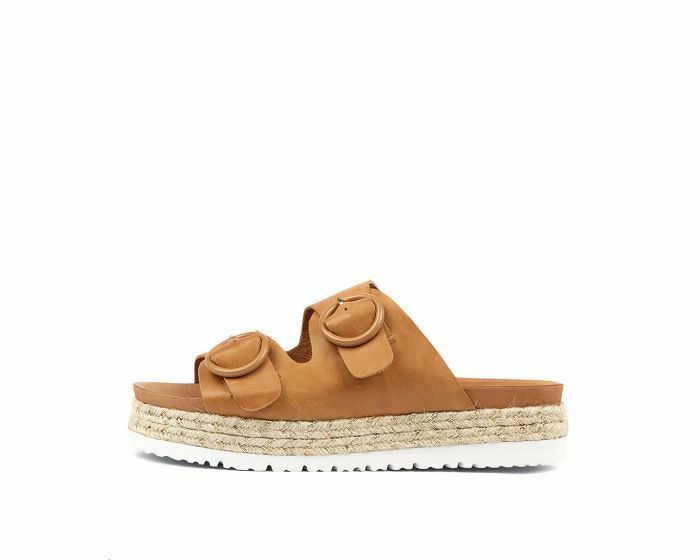 A summer-ready piece with jute rope trim and a flatform sole, this on-trend option comes with two adjustable straps that offer a custom fit. Ideal for holidays or relaxed weekends, this shoe will look chic paired with light linen pants and a lace-trimmed cami.